angio-associated, migratory cell protein Polyclonal IgG Rabbit Human IHC-P, WB Immunogen affinity purified. 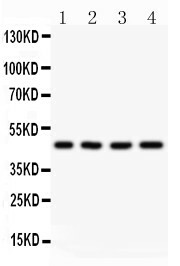 E.coli-derived human AAMP recombinant protein (Position: E235-R434). Plays a role in angiogenesis and cell migration. In smooth muscle cell migration, may act through the RhoA pathway. 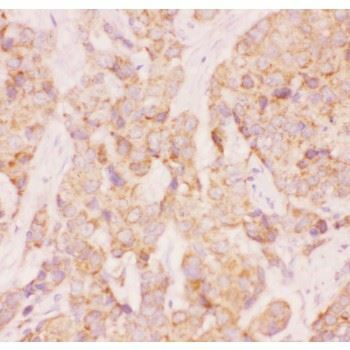 Expressed in metastatic melanoma, liver, skin, kidney, heart, lung, lymph node, skeletal muscle and brain, and also in A2058 melanoma cells and activated T-cells (at protein level). Expressed in blood vessels. Strongly expressed in endothelial cells, cytotrophoblasts, and poorly differentiated. 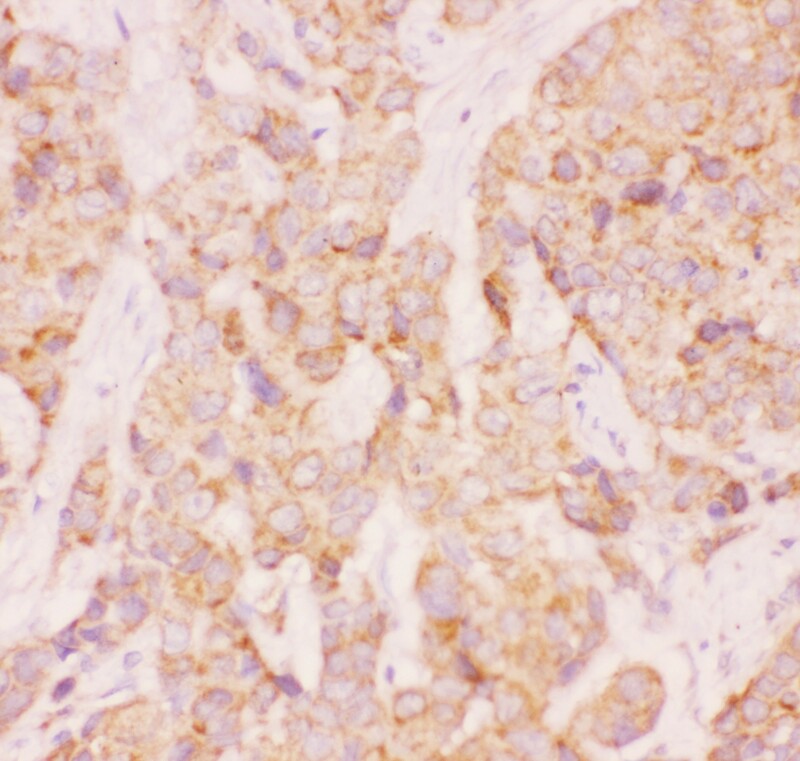 colon adenocarcinoma cells found in lymphatics.